At the International Bar Association's 2016 Annual Conference on Wednesday, U.S. Attorney General Loretta E. Lynch commented on the police-shooting deaths of two black men in Tulsa, Okla., and Charlotte, N.C., according to a Department of Justice press release. "On Monday the Justice Department opened a civil rights investigation into the death of Terence Crutcher in Tulsa, Oklahoma," she said. "As always, the Justice Department will be thorough, impartial and exhaustive in reaching a determination about this incident." Terence Crutcher, 40, was walking, unarmed, on a Tulsa road with his hands in the air, as video shows. He was seen being closely followed by police officers as he approached his vehicle, and then he was seen falling to the ground after one of the officers shot him. "The Department of Justice is aware of, and we are assessing, the incident that led to the death of Keith Lamont Scott in Charlotte. We are in regular contact with local authorities as their investigation into the shooting begins to unfold," Lynch added. On Tuesday in Charlotte, Keith Lamont Scott was shot and killed by Officer Brentley Vinson, who was subsequently put on paid administrative leave. Police claim that Scott was holding a handgun when he exited his car and that he was asked to drop his weapon several times before getting shot. "These tragic incidents have once again left Americans with feelings of sorrow, anger and uncertainty," Lynch said. "They have once again highlighted—in the most vivid and painful terms—the real divisions that still persist in this nation between law enforcement and communities of color." 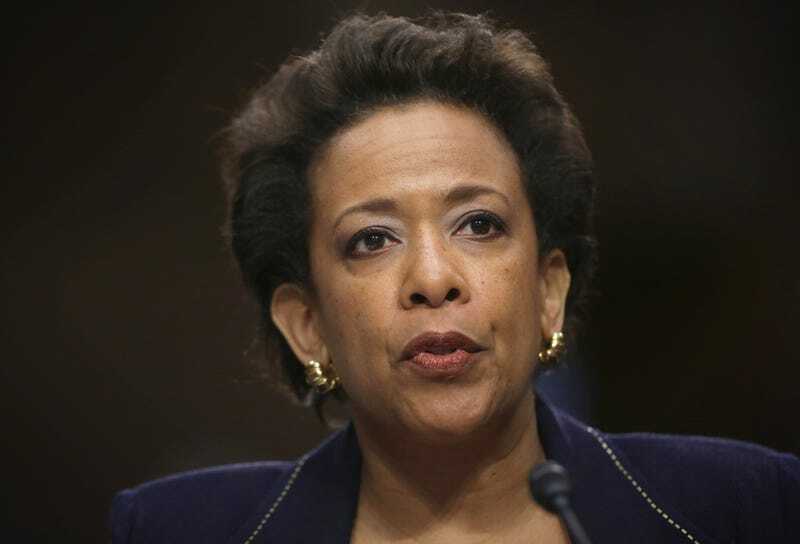 Lynch said that violence followed the protests that broke out in reaction to Scott's death. Twelve officers and many demonstrators were injured. "Protest is protected by our Constitution and is a vital instrument for raising issues and creating change," she said. "But when it turns violent, it undermines the very justice that it seeks to achieve, and I urge those demonstrating in Charlotte to remain peaceful in their expressions of protest and concern."